For years now a few things have been off limits when it came to facial skincare... namely synthetic fragrances and mineral oil which is why so many things have never been lauded here. Then something caused me to turn my attention to something even more irritating. Good old silicone and its ilk Dimethicone. If it weren't for one of the worst reactions I've ever experienced recently, thanks to a brand new serum from a Japanese line that starts with an S, I probably would have kept on slowly damaging my skin. After a patch test of almost pure Dimethicone and watching my skin bubble up in anger I decided to try and purge it from my routine for good. Little did I know how hard that would be. Dimethicone, it seems, is everywhere. From my sunblock to my serums and powder even which led to a lot of stuff being doled out to friends. What I was left with wasn't much so the search was on to find a few replacements for the things I used the most. A few Amazon Prime shipments later and I've found some real gems that I believe has helped my skin do a complete 360. Will I keep experimenting with new bits of beauty? You bet but I've now decided to head the advice of the grand dames of beauty who avoided reactions at all cost. So much so that they would actually take their favorite skin creams to independent labs to have them tested to make sure they contained what they were supposed to and in the right amounts. Makes you wonder how many do this with their jars of Crème de la Mer today? As one doctor said, inflammation is decay. Anything we can safely do to avoid it, along with sun damage, is probably some of the best anti-aging skincare we can buy. Who knew it would be so hard to find a simple, gentile organically based cleanser. Cetaphil will always be a favorite but I was looking for something sulphate free and with a few beneficial extras added in. Contrary to what many Derms will tell us, and rightly so really, some of the best results for me have come not from pricey creams or serums but instead, cleansers. One recent discovery is Oz Naturals' Ocean Mineral cleanser with rose hip and borage oils. A clear gel it emulsifies on the skin when you splash on some water, turning all sea foamy and luxe. The best part is it leaves my skin clean yet still feeling soft and it seems really gentile. Even on retinol treated sensitive skin. Another great way of removing makeup and cleansing the skin is with the oil method and a great oil is this pure organic jojoba oil by Foxbrim. For anyone looking for an alternative to Emu oil this is one to try as it too mimics our own skins sebum. It also has its own anti-inflammatory benefits and is very low on the comedogenic list of oils so it can actually be great on acneic skin if very little is used. Mixing jojoba with argan and a little castor oil makes a really nice cleansing oil and gentile makeup remover. 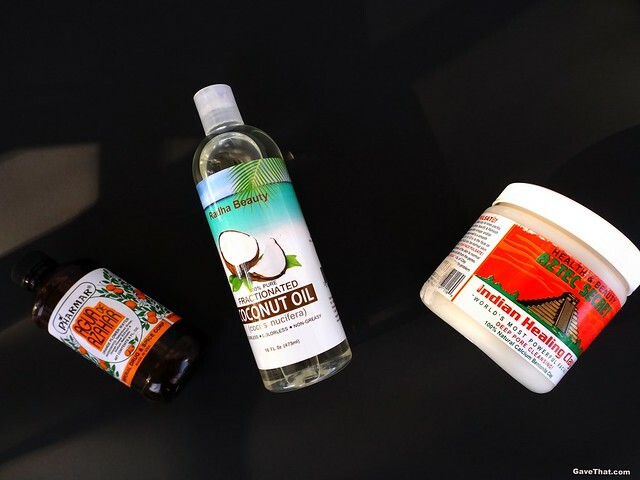 If I need something slightly stronger I'll grab my fractionated coconut oil which looks, feels and works the same as mineral oil based baby oil. This one here is by Radha Beauty and can be found on Amazon as well. The best part is fractionated coconut oil never solidifies and will not clog pores so it's always at the ready to take off eye makeup. So far I've been following that up with the Ocean Mineral cleanser and the clay mask below for a decent double cleanse routine. As a whole I have to say both Foxbrim and Oz Naturals are my two favorite lines found on Amazon. They come from the same US labs that produce private label skincare for derm spas and doctors so they're on a completely different level than what I'd typically find at the makeup counter not to mention they're both cruelty and silicone free lines for the most part. Two other things I've been loving on cleansed skin is the cult classic Aztec Secret Indian Healing clay powder which is lovely when mixed with either this orange blossom water by Pharmar which I stumbled on at, where else, Amazon (smells heavenly!) or the Radha fractionated coconut oil above. If you're really daring add a drop or two of peppermint oil for extra tingle and pore tightening. For the mother load of silicone free serums and treatments be sure to see my previous post over here. There are thankfully a ton of aloe vera based products to choose from, all using the trendiest of ingredients (rose hip seed oil, amino acids, retinol, astaxanthin, Matrixyl 3000) on Amazon, housed in no frills clinical packaging. One that's always omnipresent in my collection is a Vitamin C serum with at least 20%. More of an liquid essence than a serum, companies that produce small batches help prevent the chance of getting an expired bottle. Something I learned the hard way is Vitamin C serum can go off quickly and be rendered inactive. Now I always look for serums that are clear and housed in dark dropper bottles like this one by New Radiance Naturals. If salicylic acid or retinol's are not your friend, a really good 20% Vitamin C serum does about the same thing along with brightening and helping to counter the effects of pollution. Avid fellow bike riders and city dwellers take heed, we need C.
If you want to dabble in retinol without the peeling and tenderness a really good one is this Super Youth moisturizer with shea butter by Oz Naturals. They already make one of my all time favorite retinol serums which you can read about here so I had a feeling this moisturizing cream would be great too and it is. Zero irritation, no clogged pores, light weight and fluffy. Moisturizers, and creams in general, are really hard to find sans Dimethicone so I was really grateful at how well this worked out. Another really nice cream with a simple ingredients list that my Mum kindly gave me is this Power Antioxidant Rejuvenation by Mito Q. Based on Coenzyme Q10 (CoQ10) this can fall under the whole DNA-repairing trend going on nowadays to help reverse sun damage in skin cells. It feels lovely, isn't greasy and has never caused any problems. Again silicone free. Lesson learned—the less ingredients, the less chance there is for something to create a reaction even when said ingredients are billed as natural. Two last things in the treatment department is this super flashy gold Derma Roller with 540 1.5mm needles by Petunia Skincare. See its slightly plainer version in action over here in my previous piece on how to do micro-needling. In short this pin filled roller creates micro wounds which your body rushes to heals, producing collagen and smoothing out skin along the way. Along with that is the closest thing you can practically get to fresh cucumber slice eye masks in a bottle. Somehow that's basically what goPure was able to do with their Youth Glow Eye Gel. If you need something moisturizing, soothing and de-puffing instantly dab a bit of this on and you're good to go. I'm still not brave enough to use the Derma Roller directly under my eyes but if I did, I'd tap this eye gel on directly afterwards in the hopes of the Matrixyl 3000 penetrating deeper and filling lines. If I thought finding a cleanser and moisturizer would be difficult, that ended up being relatively easy compared to SPF's and foundations. 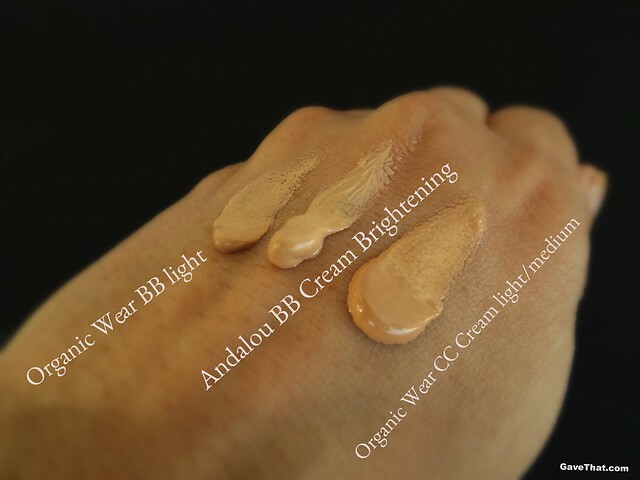 As mentioned eons ago here on the blog I really love BB creams, especially those from Korea, because they blend powerful skincare with high zinc based SPF and decent coverage. Sadly with each new BB cream release I tried, from Korea or the US, Dimethicone was figuring in more and more prominently. In some cases it was in the top three ingredients or five or six different kinds were present. Add in having bad reactions with chemical sunscreens and it was daunting. Especially since Zinc Oxide is often paired with Dimethicone so it's easier to spread and stay on longer. I get that but what about those of us with issues? More and more derms are recommending oily and acneic skin clients lay off the silicone because of how it's linked to breakouts. 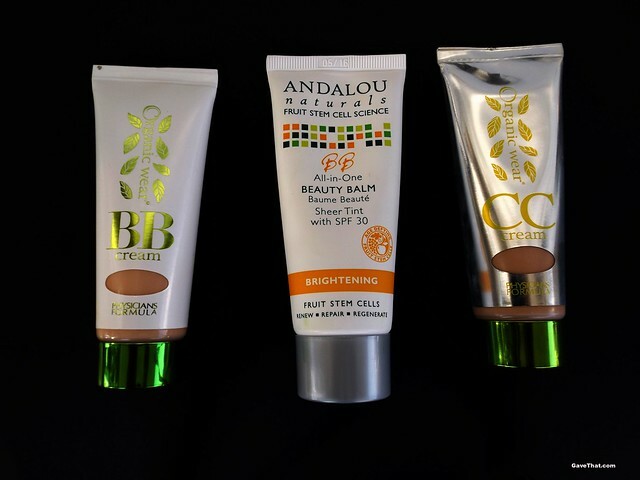 Thankfully someone shared their love of Andalou Naturals and in particular their brightening beauty balm with a Zinc Oxcide SPF of 30. Even better it is silicone free (a million thank yous!). I remember rubbing my eyes a few times to make sure I was reading the ingredients right. 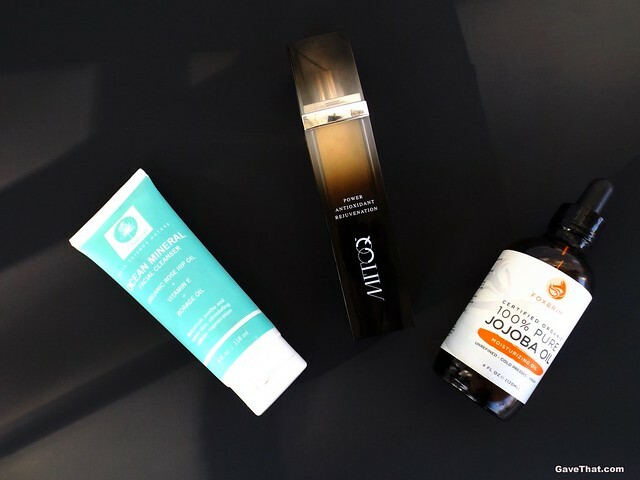 Along with having a lot of good for your skin ingredients the Sea Buckthorn oil they infused the BB cream with gives a peachy glow and helps to mask the typically white cast Zinc Oxcide can give skin. The coverage is really next to nothing, which is why I'll probably try their 1000 Roses BB cream next, but for a Dimethicone free zinc based sunblock I'm on cloud nine and eternally grateful. Another surprise place to find Dimethicone free SPF, this time with some decent coverage, was in Ulta. I ended up purchasing the two new BB and CC creams from Physicians Formula's Organic Wear line there. I've really enjoyed Physicians Formula's other BB products in the past but pretty much stopped using all of them after finding them laced with multiple forms of Dimethicone. Even their BB powder contained it (and looked caky to boot) but surprisingly their Organic Wear line does not. Aside from the silica powder for oil absorption both their BB and CC creams have SPF 20 and boast 100% natural origins. Personally I find them just as good as their Dimethicone containing counterparts. Did I need both? Well sort of because the light is too light and the light/medium is too dark for me. So I mix them together or with Andalou Naturals BB cream. A little powder and mineral bronzer, that's it. With all of these I can say they've actually worked better than a SPF alone. 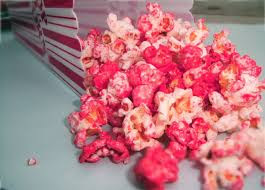 I think in large part to the different anti-inflammatory antioxidant ingredients they also include. Two last things about the Physicians Formula creams, if you're looking for unscented go with the CC cream version as the BB cream is heavily fragranced with natural coconut. Also they both contain beeswax so for a vegan alternative there is Andalou which I really find just as lovely. Lastly two lip products. One new and one featured here a while back. First up is this lipstick in the color Reddish Fetish IC9 by Red Apple Lipstick, This still reigns supreme as one of my most cherished shades ever and the formulas themselves are amazing (for swatches go here). I really wanted to include them here as they're all natural, lead and gluten free. The other is a new mat lip pencil by Burt's Bees in the shade Sedona Sands 405. Who knew Burt's Bees could be so good at creating a mat lipstick that lasts all day without drying out your lips. Both lines are 100% natural and these products in particular are cruelty free. 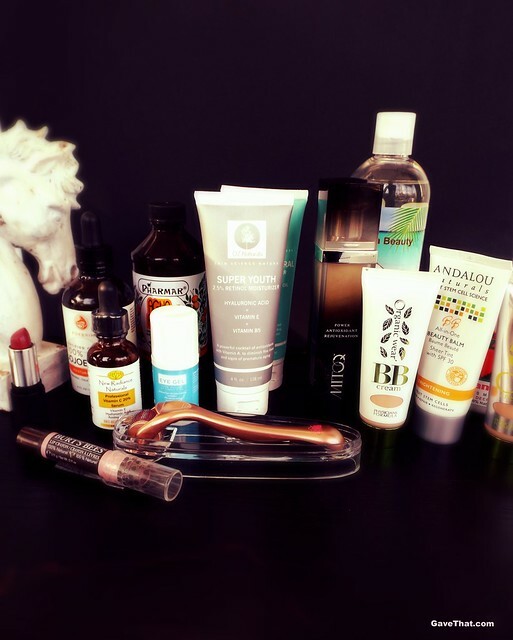 Do you have any favorite silicone free, organic beauty finds? If so do share! Idk if they changed to formula or something, but all the Andalou Naturals BB and CC creams have dimethicone in them.